If you have had several terrible bosses in a row, you might despair of ever working for a great one. 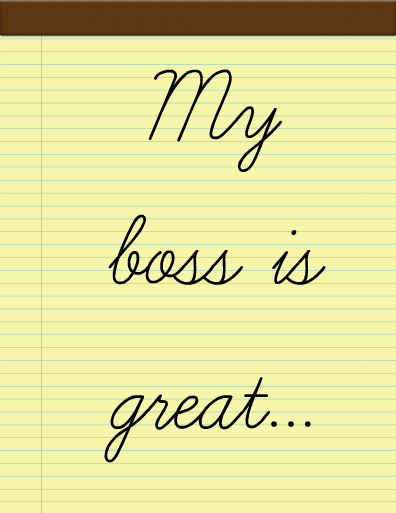 Be reassured, though, that great bosses do exist! I searched for people willing to describe what made their great bosses so excellent. Here are their stories. Tell me about a specific way this company helps employees attain work-life balance? Is there a program that supports professional development, and are there clear pathways to advancement? 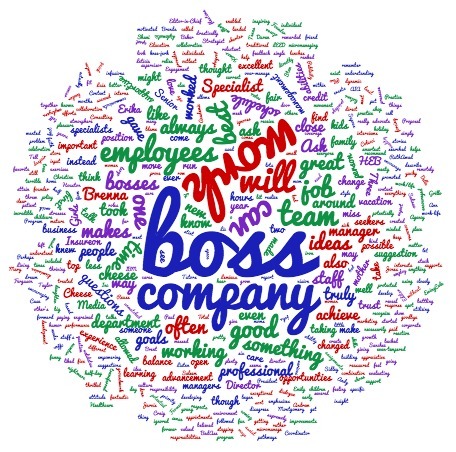 “The boss that I will remember forever was my boss at my first corporate job. What I liked about my boss was that he did not micromanage and would actually take my insight on ideas for improvements. I would feel like I was being valued rather than ignored simply because I was not the boss. “My boss is Erika Taylor Montgomery, founder of Three Girls Media. She started the company 11 years ago to achieve work/life balance, and she makes it a reality for her employees! As a mother of two young children, I love that she makes it possible for me to work a less traditional schedule so I can avoid paying for childcare and be home with my kids during the day. Plus, if something comes up (such as a holiday performance for my daughter), she allows me to change my schedule around or take time off so I can be there for my family, too. What opportunities are there for advancement and growth? What kind of atmosphere can I expect in this department? What sort of team building events or exercises does your company employ? Who will be my direct supervisor? How often will I work directly with them? Who on the staff would I be working with and how often? How often will I receive feedback on my work? Emily Sidley, Senior Director of Publicity, Three Girls Media, Inc.
One of my best bosses was one of my previous sales managers. I was hired to sell copiers door-to-door in a geographic territory. TO be honest, that job was a grind, it was discouraging. One of the best things about that job was my boss. He genuinely wanted all his reps to succeed and grow as individuals. He trained each of us each week and taught us the 3 tenets of success 1. Attitude 2. Structure 3. Discipline. To this day, I still follow those tenets wherever I go.